A form of Quartz mineral in a pleasing violet or purple shade, mined primarily from volcanic rocks in Africa and Brazil. Linked to an increased sense of calm, serenity, and understanding, the stone is believed to minimize the stress and anxiety of the wearer. Did You Know? 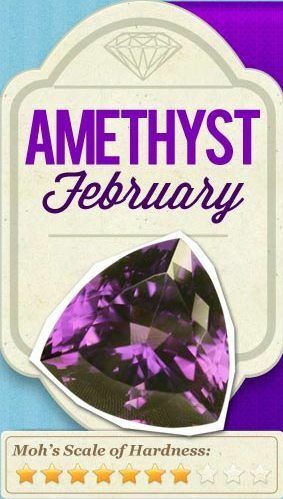 Amethyst was considered to be a strong antidote against drunkenness and the gemstone still symbolizes sobriety. Fine amethysts have been featured in the British Crown Jewels, and have been a favorite with such diverse figures as Egyptian royalty to Catherine the Great.